Wondering how the voting will go down tonight and who will be elected the 45th President of the United States? 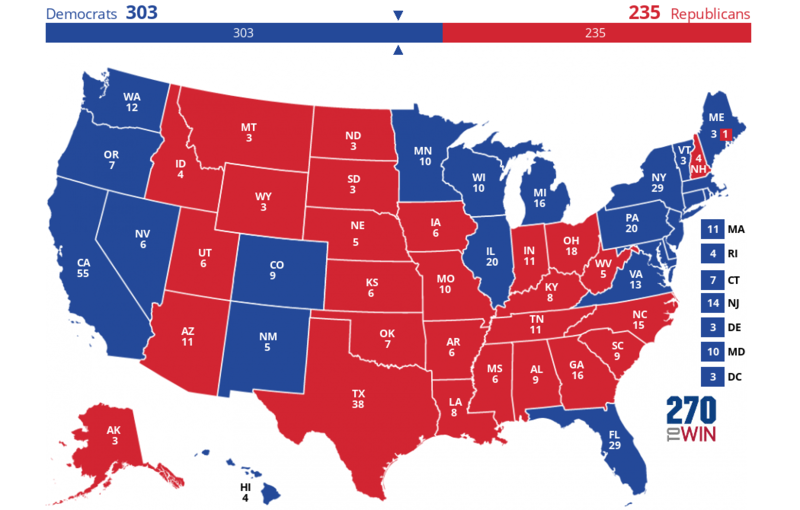 Here are my predictions for the Presidential electoral map as well as the congressional balance power. As you can tell, I have Hillary Clinton being elected the new President of the United States as she will clear the 270 electoral vote threshold. I may be more bullish on Donald Trump doing well in the key swing states than others may be (although Pennsylvania and to a lesser extent Michigan seemed like reaches) but the state that will put Clinton over the top, thanks to its big push of Latino early voters, will be Nevada (you could give Florida to Trump and Clinton would still be president-elect). While the Republicans will retain control of the House of Representatives, I think that the Senate will be deadlocked in a 50-50 tie as the Democrats will pick up four seats (Illinois with Tammy Duckworth, Indiana with Evan Bayh, Pennsylvania with Katie McGinty and Wisconsin with Russ Feingold). Therefore with the Democrats winning the White House, the Senate tie would be broken by Vice President-elect Tim Kaine. And for the governorships, the Democrats will win races in Indiana (John Gregg), New Hampshire (Colin Von Ostern), North Carolina (Roy Cooper) and West Virginia (Jim Justice) while the Republicans will win races in Missouri (Eric Greitens) and Vermont (Phil Scott). Did you cut and paste the CNN, Fox News, MSNBC, CBS, NBC, ABC projections? Sorry to be snarky.